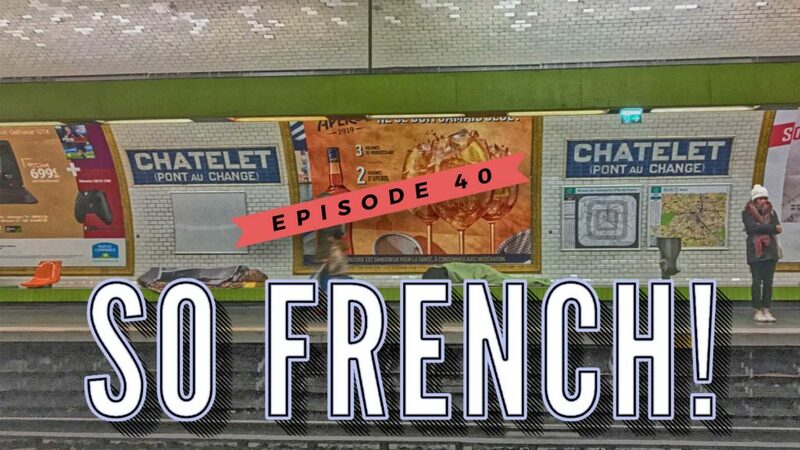 E40 – Homeless left out in the cold – So French! Selling fighter jets, saving the Earth, delivering two eulogies and being the king of Europe: this month, Macron’s agenda is fuller than a stuffed Christmas turkey. Also, with independence à la mode in Europe, the French Corsicans are making their voices heard, voting for more autonomy. One homeless man got very lucky this week, but most of the 140.000 ‘SDF‘, the homeless people, in France will face a rough winter. The government wants to prohibit the use of mobile phones in classrooms, but will they succeed? Maud Descamps brings us a fresh French Word of the week.